There's a new role-playing game on the mobile market that's aimed squarely at fans of PlayStation-era gaming. 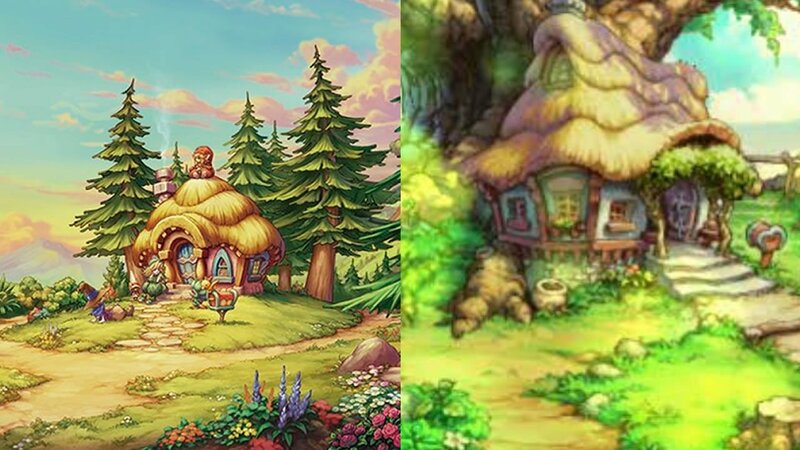 It's called Egglia: Legend of the Redcap, and if it looks a lot like 32-bit RPG Legend of Mana, that's because it's been crafted by Brownies, a development studio that includes several members of Mana's original creative team. Egglia: Legend of the Redcap has been earning high praise since its Japanese debut back in April, and in celebration of the game's recent English-language release, Brownies and publisher DMM have released an all-new video showcasing the game's first 18 minutes of gameplay, featured above. Beyond the strikingly similar visual style, however, the two games play very differently: primarily, Egglia drops players into a grid- and turn-based battle system that relies on random number generation. The game also tasks players with moving along the grid to gather various resources, attack enemy creatures, and locate the title's namesake eggs in order to build the world around them. Egglia: Legend of the Redcap does have a few other surprises: aside from unlockable locations and characters, players will also be able to pick up various items that can be used to decorate their individual homes. Even better, the game is presented as a premium experience: for a flate rate of $9.99, players can enjoy all that Egglia offers without any annoying ads or offers for in-app purchases. Players interested in Egglia: Legend of the Redcap can pick up the game right now via the Google Play Store or the Apple App Store. Looking for a mobile gaming experience that won't bust the bank? Check out some of the excellent titles we've featured over on Modojo's list of the Best Free To Play Games.